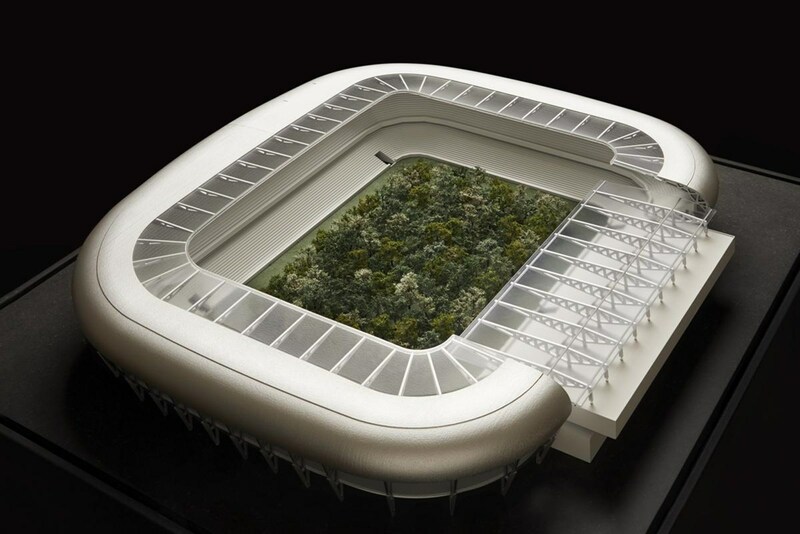 In September and October 2019, an authentic forest will be on display at the football stadium in Klagenfurt. The forest is designed and realized by Enzo Enea and his Landscape Architecture team. With this project, the international renowned artist and art mediator Klaus Littmann will place the Wörthersee Stadium, Austria’s most modern stadium, at the centre of worldwide attention. The project «For Forest – The unbroken attraction of nature» based on a drawing by the Austrian artist Max Peintner, shows the sports arena from a completely new perspective and rarely seen dimension of art intervention. 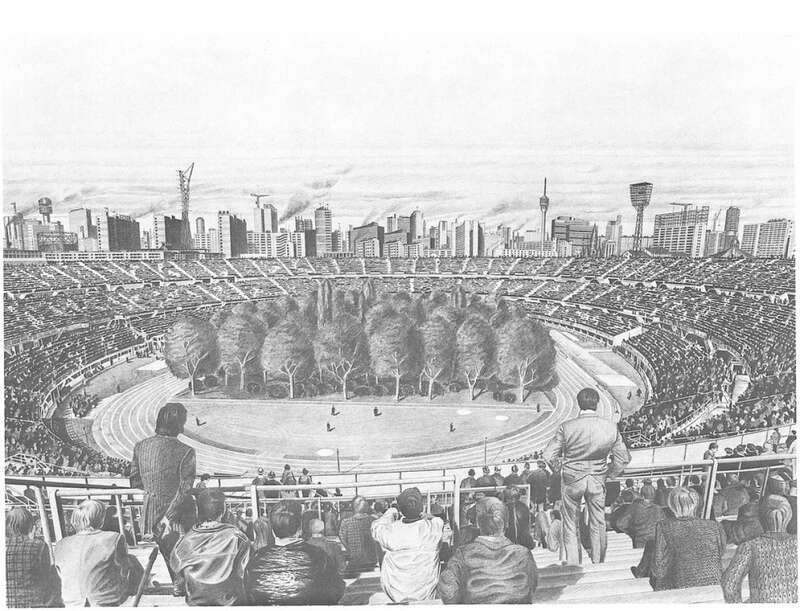 Enea is responsible for the design of the forest and implementation of the trees in the stadium. The woodland is designed on the Carinthian mixed forest model, featuring its vibrant colours and textures. This orchestration will be dominated by hornbeams and red beeches in their autumn glow. Birch, field- and lace maples are scattered in a granular pattern on the surface. The ambitious project also benefits of Enea’s craftsmanship, as each tree is individually selected and planted by its professionals.